Unfulfilled promises concerning referrals, especially in the app world can drown your brand’s image. That’s because the key ingredient of a referral campaign is the trust associated with it. Most users act on a referral link or code because it was shared by a trusted friend or family member. Unanswered Queries- A Bigger Problem For Mobile Referral Campaigns? Most marketers do not factor the aftermath that follows unanswered queries associated with their mobile referral campaigns. In the absence of clarity, support teams either ignore these questions by customers or are continually dependent on the tech team to provide them with genuine answers. Such a chase usually ends in a no answer too. Numerous app players have lost credibility in the mind of the user’s owing to unresolved user queries. While marketers can’t do much in such situations, users do not lose any chance of bringing the app down. App store/ play store is a usual pit stop for angry app users. Quite often do we witness negative ratings for an app when the support staff fails to resolve queries for irate customers. 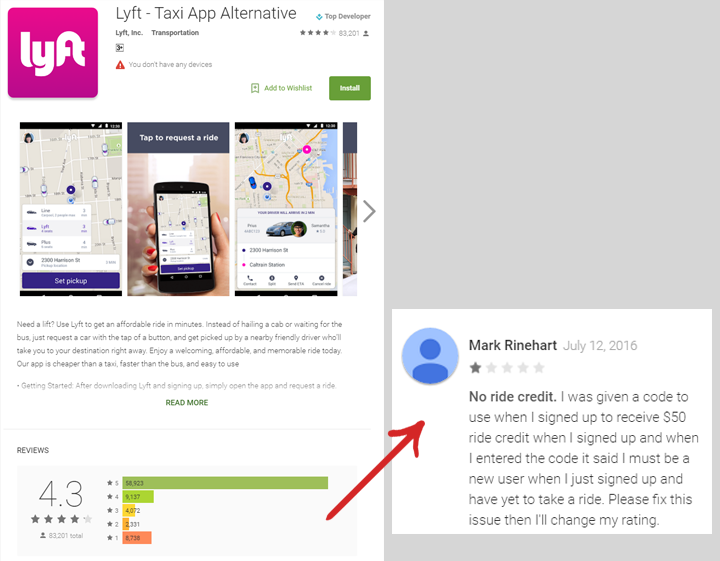 Ride-hailing apps like Lyft and UBER have numerous cases where their app received a bad review, owing to no response from the support team. Most users share their code/ referral link on social media platforms as opposed to E-mail and other channels. Given the social extension of these campaigns, even a minor glitch or a delay may lead to an uproar on such platforms. To add to the misery users expect an answer almost instantly. According to a research done by Forrester the turn around time (TAT) for an email response is six hours and for social media driven responses the window is as low as half an hour. Oooohhh #Uber are doubling referral incentives. Is that because of the bad press of late? Or the sheer number of people who've been #ubered? It’s true that customer service challenges won’t fade away, however by providing the support team with a competent tool growth managers can empower them. This will ensure smooth closure of queries and a sustained trust in your mobile referral campaign. AppVirality Resolution Centre is our latest offering to strengthen a mobile referral campaign and is now live on our dashboard. Having supported mobile referral campaigns for over 150 apps, we realized the need for a holistic solution. Through this resolution center, we aim to reduce the turnaround time against open tickets as well as eradicate the dependence of support teams on tech teams for an answer. While there may be various scenarios in which the incentives may not be released by an app company, the challenges faced by the user remain more or less the same. For example, a referrer may claim that he hasn’t received the referral incentive but for an app company, there may be numerous reasons for a denial. 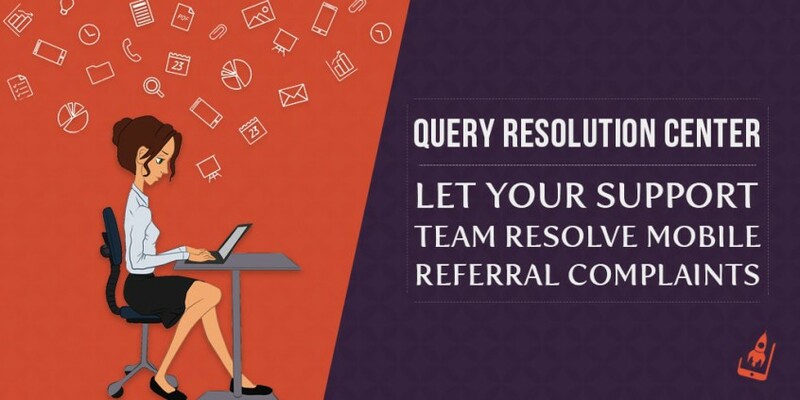 The resolution center requires email address of both the referrer and the recipient for it to work, which can be easily provided by the support team. Let’s me take you through various dispute scenarios and how our resolution center can empower your service team in obtaining a legit answer in no time! In a perfect scenario, when both the referrer and friend are successfully attributed, the dashboard displays an attribution successful message. It also displays important user details such as status of individual reward, event details and reward date for both the referrer and the receipt. A successful attribution message confirms that both the referrer and the recipient were rewarded successfully. A recipient may not be able to avail the incentive when the referrer is barred. AppVirality offers a powerful fraud detection feature as a part of its offering. Therefore we are adept at identifying referrers who aim at gaming the system. In such cases, the incentives aren’t released to the recipient. Support teams may not be adept at understanding the technological aspects of it, however by looking at our dashboard they can provide a concrete answer to recipients who have to suffer in such situations. When the referrer email id is blocked, it gives a message saying “referrer is marked as blocked”. A possibility, even though rare is when a recipient may click on a referral link/ code on one IP and continues to install the app on another IP. AppVirality identifies this as yet another attempt to game the system and therefore does not allow an incentive release. Exclusions in case if your app supports Google install referrer or iOS9 cookies. Mobile referral incentives may have a threshold as decided by your team. In most scenarios such minute details aren’t shared with the support vertical, leading to a delay in response. Such precise information helps the support team in pacifying an irate user effectively. If you are running a mobile referral campaign, you need to be open to queries of your customers. It is as simple as that. Clearly, “we will get back to you, shortly” does not cut it anymore. Teams need to reduce the “shortly” to “shorter” and it can’t be achieved without a dedicated and precise query resolution center. The scenarios discussed above are just the tip of the iceberg. There are numerous other scenarios that come into play. What are a few mobile referral challenges that you support team has been facing? How do they deal with it? Do share your experiences in the comments below!